A Day in the Life on the Farm: Let's ring in the New Year with Stirrings and a Michigan Cherry Lemonade! Let's ring in the New Year with Stirrings and a Michigan Cherry Lemonade! Yes, I know it is the last day of the year. Yes, I know I live in Michigan. Yes, I know it is cold outside. Yes, I know Lemonade is a wonderful summertime drink. But....if you are lucky enough to be me this New Year's Eve, then you are spending the evening in a hot tub with your favorite person to ring in the New Year. The good folks over at Stirrings invited me to join in their "Stir It Up Holiday Blogger Mixology Challenge". In return for joining the challenge, in which we were charged to create a "Simply Better Cocktail", we received our choice of two Cocktail Mixers and two Cocktail Garnishes to be used in the creation of an original cocktail. I chose Blood Orange and Lemontini mixers and Cosmopolitan and Margarita rimmers to use in my creation. 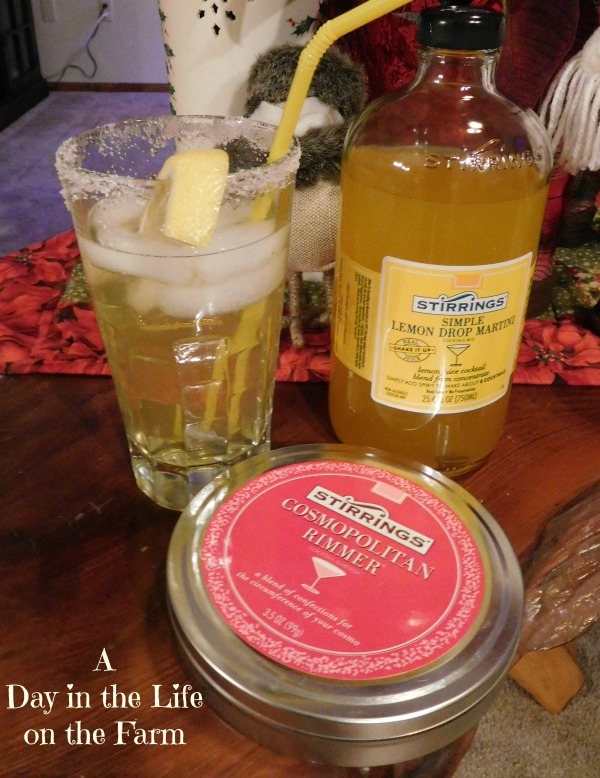 I ended up using the Lemontini mixer and Cosmo rimmer in this recipe that I am sharing with you today. Here in Michigan we are famous for our Cherry Crops. We also have many wineries, breweries and distilleries, all of which make use of our cherry harvest. I had a bottle of Cherry Vodka in my bar from one of our trips north this past summer. I knew that it would pair perfectly with the Lemontini mixer and decided to make a Michigan Cherry Lemonade. This drink is a light and refreshing cocktail that can be enjoyed on a hot summer day in the pool or on a cold winter's night in the hot tub. It is also a perfect drink to serve up at your next party. 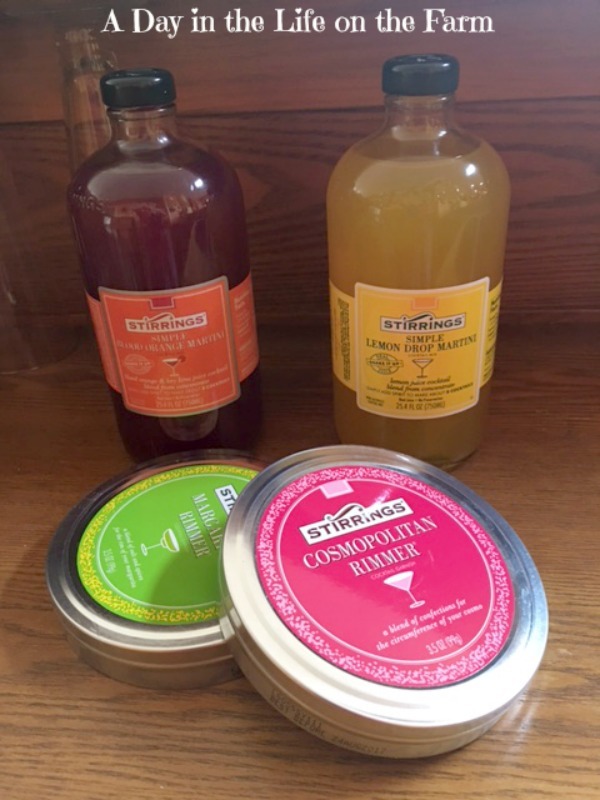 Stirrings products are widely available throughout Michigan and the country at local party stores, liquor stores, wine shops and grocers including Meijer, Value Market and Plum Market. You can find a complete listing of all the stores that sell their products by going to the store locator site. Follow Stirrings on Instagram, Pinterest, Twitter and Facebook. Disclosure: I did receive free product from Stirrings for use in this contest. I did not receive any monetary compensation for this post. All opinions are mine alone and based solely on my experience with this product.